When you or a loved one needs help with bail, you want to be able to go to a bail bond company that you trust. You Call Bail Bond Agency is a bail bond company that is committed to offering quick and easy bail bond services for those in need. We believe that everyone deserves high-quality services when it comes to acquiring bail bonds. Regardless of the charge that is brought against someone, we treat each and every one of our clients with respect and dignity. Our job is to ensure that you, your friend, or family gets released from jail fast, so we will do what it takes to make that happen. If you need help with the bail process, contact us today! 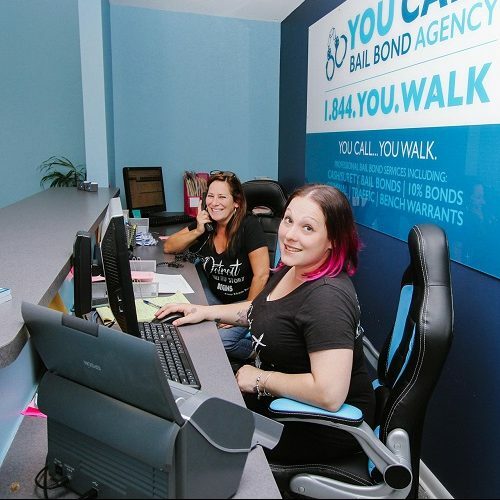 At You Call Bail Bond Agency, our service fee is 10% of the bail amount. Because of state law, the bail amount and fee are linked together. The bail amount is going to depend on how the court of judge sets it, so the higher the bail, the higher the service fee. Our bail bondsmen don’t want to put our clients at financial risk, so we work with you by implementing weekly, bi-weekly, and monthly payment plans. This makes things a lot more affordable, so there is no additional stress on our clients. If you have any questions, you can contact our office or take a look at our FAQs for immediate answers. Updated on April 2, 2019 at 2:23 pm by You Call Bail Bond Agency.